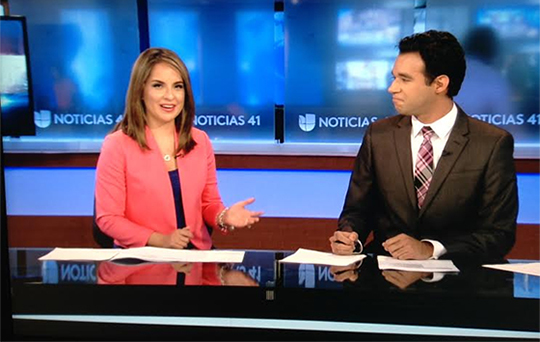 During the past two years, Sabca Productions (and owner Aldo Alvarez) has helped Univision relaunch its local affiliates. “Aldo is able to customize our sets to each market utilizing the same basic design concepts while adding local flavor, which is inspired by each local team’s input. The combination of sets, ideas and innovative lighting techniques, bring to life very small spaces, giving the stations many possibilities,” said a client. 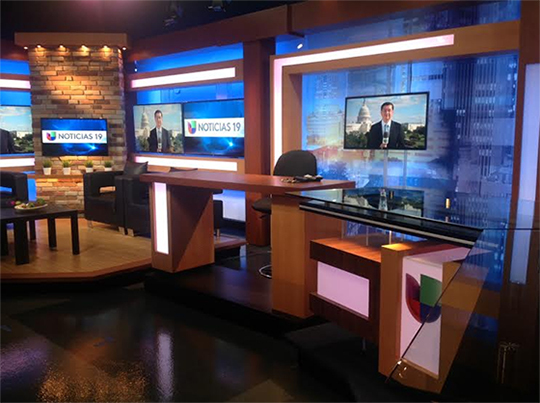 Sabca Productions worked with the local stations within the Univision Television Group to craft unique designs for each market, then oversaw construction, installation and lighting design. 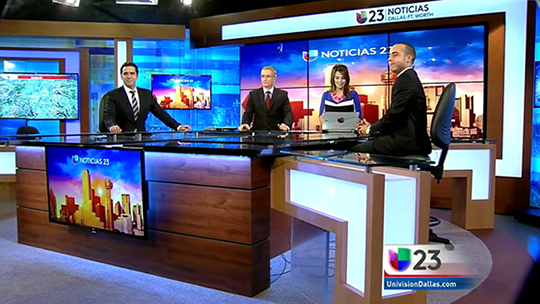 From New York City to the recent debut in Dallas, Univision worked to create a unique atmosphere for its stations. 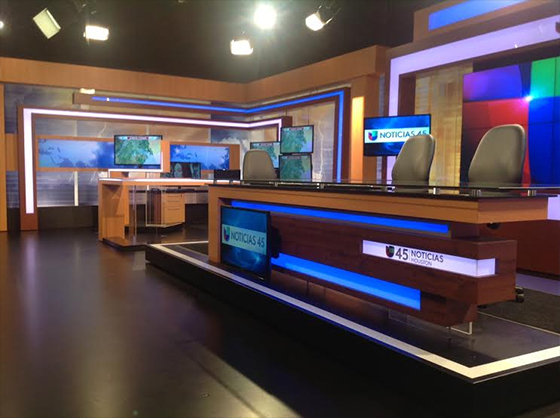 The Univision sets combined rich woods, technology, modern lines and LED lighting to create a central design concept that was repeated across the country, with each market adding its own local flavor. Lighting design and direction was used throughout the sets to create depth of field and a look different from most local stations. Every part of the studio was used, creating a dynamic environment capable or producing multiple camera angles and looks on-air. For 2014-2016, Sabca Productions is offering a 20% discount (off the original budget), all while maintaining the same quality in every project. Aldo can be reached by calling: 786-306-6613. 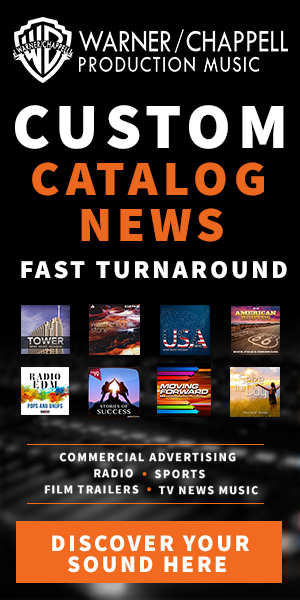 Sabca Productions is an advertiser of NewscastStudio and contributed content to this article.